Mountain bikes are the most versatile type of bike on the planet. Ever since their conception in the early 70s, there has been ongoing growth and development in the performance of mountain bikes. Countless brands have introduced new ideas as to how a mountain bike should look and behave. Nowadays, there are so many different types of mountain bikes on the market that choosing one can be difficult! Mountain bikes allow you to ride basically wherever you want. The introduction of fat bikes furthered that statement even more by allowing riders to travel on snow and in deep mud or sand with little trouble. 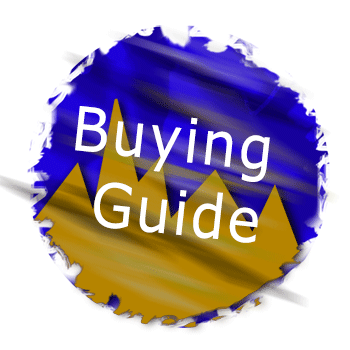 On this page, you’ll get a full overview of mountain bikes. 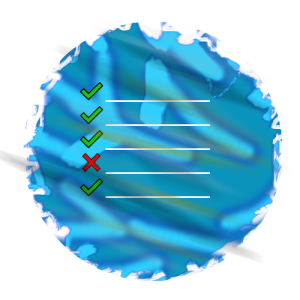 We are going to cover all of the basics so you won’t have to look elsewhere for supplementary content. Our propriety is to provide readers with valuable content that is not only good to know but also has practical real-world value to it. In this piece, you’ll learn everything from the history of mountain bikes to how to choose a modern mountain bike that will suit your own personal needs. Like I mentioned above, mountain bikes started to roll out in the 70’s. 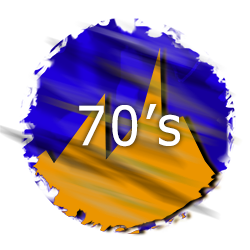 I don’t mean to say that there were no mountain bikers before the 70’s because that would be a lie. Buffalo soldiers from Missoula used bikes for off-road in years as early as 1896, and cyclo-cross was gaining momentum as a sport in the 1940s. However, these were not true mountain bikes that people were riding. Mountains have allured people for centuries and so have bikes. It only makes sense that someone would invent a way to enjoy both. Well, it happened and the person who did it was Geoff Apps. Geoff started designing and testing off-road bike designs in 1968. He started the mountain bike snowball effect that has lead us to the modern designs that we know and love today. Back then the popular cruiser bike, the Schwinn Excelsior, started to be modified by passionate individuals. They retrofitted the bike, attaching better brakes, fatter tires, gears, and “klunker” handlebars. After that, road bicycle companies started to catch on and began producing mountain bikes using better materials. The first mountain bike models were built around road bike frames with wider forks to fit the bigger tires, straight handlebars, heavier tubing, and slightly different geometry. The men behind the first prototypes were Gary Fisher, Charlie Kelly, John Frey and Tom Ritchey. They also founded Fisher Mountain bikes. However, Ritchey (who has great welding skills) started his own frame shop. The first real mountain bikes in history were sold under the MountainBikes brand, which later was known as Fisher Mountain bikes. This eventually became Trek’s “Gary Fisher Collection”. In the early 80s the first mass-produced mountain bikes came out. These were the Specialized Stuntjumper and Univega Alpina Pro models. People did not have much faith in mountain biking as a sport back then. They thought of it as more of a fad than something to be taken seriously. For this reason many big names missed out on the real start of mountain biking. Specialized, who was startup back then, gained mass popularity with its mountain bikes as a result. The first mountain bikes featured a 3×5 gear drivetrain meaning 3 gears up front, and 5 at the back. In the 90s mountain biking became a popular part of the sport of cycling. The gear for the bikes started to appear in cycling shops and many were excited by this new off-road style of riding. During the 2000s even department stores began to sell cheap mountain bikes. The trend of mountain biking was leading the development of parts and bikes that could be ridden on rougher and rougher terrain. At this time, the gap between XC and downhill racing also started to develop. Traditionally, mountain bikes had 26” wheels. However during the 2000s, 29” (900C) and 27.5” (650B) wheels were introduced. These are faster rolling and handle better than the 26” wheels. During the first 10 years of the 2000s, many bike parks and trails built specifically for mountain bikes started to pop up. Today, there are countless different trails all over the world! The sport of mountain biking has come a very long way and well, it doesn’t seem to be losing any momentum. Nowadays there are thousands of bike and component brands for us to choose from. This variety and competition will encourage the sport to grow even more. The future of mountain bikes looks bright! It’s hard to say, how many mountain bike brands are there in the world. One thing is clear, each year hundreds (if not thousands) of companies are founded or rebranded. Wikipedia states that there are nearly 400 bike manufacturers but we really can’t be sure of that number. This is because when we checked, we noticed quite a few custom made mountain bike brands were not included. At the end of the day, it is impossible to account for every brand. All we know is that there is a lot, which means a lot of choice for us as customers. Choosing between brands can be difficult. However, the ability to buy from big companies that have well proven products will help make many of our decisions a lot easier. There is one thing we can tell you that is probably the best advice anyone can give you about mountain bikes. That is to never buy a bike from a department store! Even if the buying process seems easy, the product will not live up to the standards of anyone passionate about cycling. There are many manufacturers that offer great mountain bikes that aren’t as well-known as some of the big names. How do you spot those? First of all, know your needs. Are you an occasional rider, someone who is in it for fitness, or do you want to participate in races? That should be the first question that you ask yourself. Secondly, where do you ride? Will you use the mountain bike for going around a city or town, in the woods on smooth trails, or on rough terrain like what can be found in the mountains. These are the main questions to ask yourself, hopefully, this information helps you find the answers. Occasional riders – From $300. Not many people will suggest buying bikes in this price scale. If you only want the bike for trips to the mall on weekends, then maybe $300 is a good starting point. However, most companies offering a $300 bike are not selling quality. That is a big thing to keep in mind. It is best to start in the next price range if you can. Beginners – $500 – $1,500. If you are just starting out with mountain biking, or only want to use your mountain bike for commuting, you should look at something in this price scale. Here you will receive entry-level components that will give you a good introduction to mountain biking. 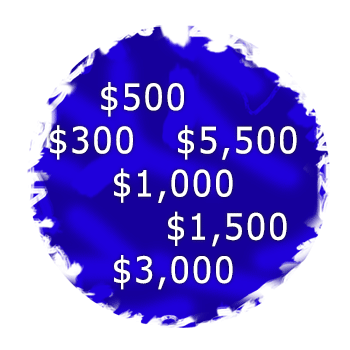 Fitness Enthusiasts– $1,000 – $2,500. Bikes in this price range typically feature mid-level components which offer awesome function and durability for the price. The bike frames will also likely be lighter weight than cheaper options which is nice for riders who spend serious time aboard them. Experts – $3,000 and above. These bikes are designed to be lightweight and offer the best performance available. The frame geometry is engineered to function at the highest level which is helpful in racing situations. Throughout this price range you will find both high-quality aluminum, and carbon fiber frames. What if choose a bike that is too cheap? If you purchase a bike that is too cheap, you will find yourself not enjoying the ride as much as you could with a better bike. Remember that a lot of the price of a bike goes into components that will ultimately decide how the bike performs. This includes components such as smoother shifters, stiffer wheels, and suspension with more adjustment. The better components will also last longer than the cheaper options. In the long run, spending more on a bike up front could save you on repair costs in the future (to an extent). Your individual riding preferences play a huge role in deciding what bike you should buy. Let’s cover some typical mountain biking areas and give you some suggestions as to what type of bike will suit each one. City – If you mainly ride around cities or other urban areas, you might consider a hybrid bike. The reason is simple, thanks to the hybrids smoother tires and a short-travel or rigid fork, you’ll find it easier to pedal and that it coasts better than a full on mountain bike. There are many different commuter bikes around. Check out our hybrid bike page and you will definitely find one for you. Tame Trails – If you like to ride your mountain bike on off-road trails that are not too rough but may feature the odd rock or root, then we recommend a bike with at least 80mm of front suspension. A cross-country bike is your best option here as it will allow you to comfortably ride these trails and even something a little rougher if you feel up to it. Serious Mountain Bike Trails – If you are going to be riding rough off-road trails such as what you will find in the mountains, you will need a bike that can handle it. The minimum amount of travel you should have is 120mm. However, we recommend about 140mm or more if the trails are extremely rough. Don’t forget to ensure you have tires with good grip as well. Downhill Trails – Downhill mountain bike trails are extremely steep, rough and feature jumps and drops. To ride these you will want a bike with plenty of suspension and good brakes. True downhill bikes feature around 200mm of suspension and 203mm brake rotors. Hardtail (HT) –A hardtail is a bike with front suspension only. They typically have 80 – 140 mm travel. The front suspension cushions all of the impacts from the front tire hitting various terrain. 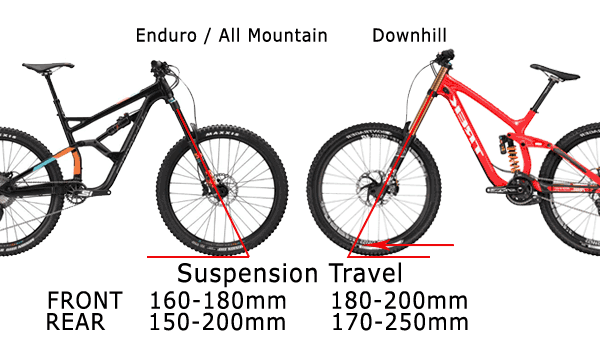 Hardtail mountain bikes tend to be lighter compared to full suspension bikes. 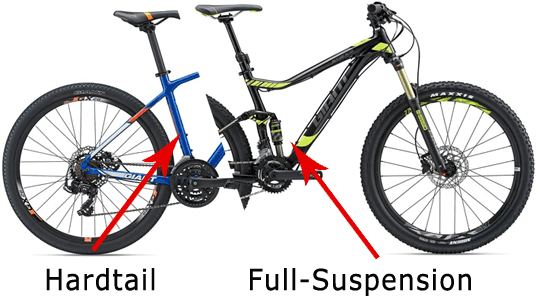 Full Suspension (FS) – A full suspension bike is a bike with both front and rear suspension. Travel for both ends can be between 80mm and 200mm. The amount of travel on a full suspension bike dictates what it should be used for. Not all full suspension bikes are meant to be ridden on the same trails. Rigid – A rigid mountain bike does not have any suspension. They are usually quite cheap and not used for any serious off-road riding. Mountain biking has divided into several sectors that everyone should be aware of. The sector or discipline that you take part in is up to your own riding preferences. The vast majority of mountain bikes are called cross country bikes. They are designed to be capable of off-road machines that will handle trails that the majority of people tend to ride. They are great for endurance riding as they are designed to have as little peddle bob as possible. Steeper head angles. Generally ranging from 69-71 degrees. Trail mountain bikes are basically more aggressive cross country bikes. They are slightly heavier but they have the ability to perform well on rough technical trails. This is thanks to their longer suspension travel and more heavy duty components. The trail bike sector is the fastest growing sector in mountain biking thanks to the bikes versatility. Slacker head angles. Generally ranging from 65 degrees to 68 degrees. Trail bikes are usually full suspension bikes but can sometimes be a hardtails. Enduro mountain bikes are designed to be able to ride downhill sections fast, while still being efficient enough to climb with. Enduro bikes are recommended for riders who like to ride extremely rough terrain. Buying one to ride on the road or on gentle trails is pointless. Thanks to modern geometry and suspension, these bikes are not too exhausting to pedal, however, a trail bike or cross-country bike makes more sense for most riders. Downhill or freeride bikes are designed to handle big drops, huge jumps, gnarly terrain, and blistering speeds. The geometry and frame structure is designed to handle intense stress well. The downsides are that they are heavier than other bikes and are not fun to pedal. Downhill bikes are meant to go on downhill trails and that is about it. 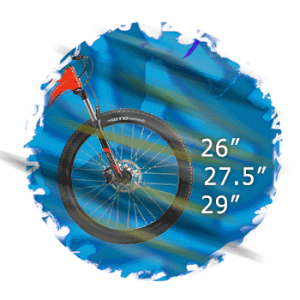 Mountain bike wheel sizes are measured in inches, and there are three main sizes to choose from. 29” wheels are the becoming more and more popular as they roll the quickest and handle rough ground well. However, they are not as agile as the smaller wheel sizes. 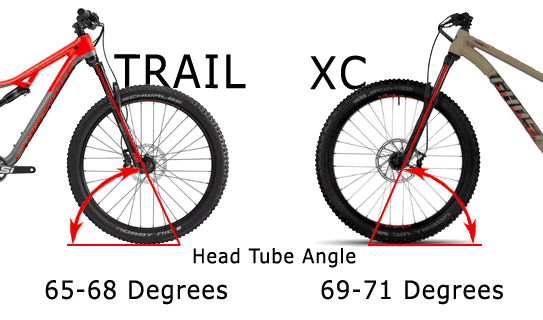 A mountain bike’s frame size is measured in inches from the bottom bracket to the top of the seat tube. Most mountain bikes sizes vary from approximately 13” to 24”. There are many ways that you can find the correct size for you. One option is to measure your leg inseam in centimeters and multiply it by 0.66 for example. There are thousands of bikes available and a lot of reviews out there to read. Some reviews are very brief, others are comprehensive and feature in-depth mountain bike tests. There are the bigger sites which only review bikes priced over $3000. Cheap $300 bikes don’t get much attention, and even when they do, the reviews aren’t that great. Does that mean those bikes aren’t worth buying? Not to us! No matter what a bike costs, there is always an audience for it. Even cheap bikes need reviews to help people find the best one for them. We also believe that a big amount of bikes in the market are pieces of junk. They don’t even deserve to be called a “bicycle”. These bikes are made for one simple reason. We live in a society based around consumerism, and most cheap bikes aren’t designed to last long as a result. That’s why there are so many bikes that don’t deserve a review. Ideally, we would try to review every single bike but this is impossible. There are just too many bikes out there. You can help us by writing your own reviews. Are you familiar with mountain bikes and want to write about them? There are times where we are in need of passionate, skilled writers to help produce content for us. Good writers are fairly compensated for their articles! We are not like most bike sites looking to make a quick buck. Instead, we aim for quality reviews. High-quality reviews! Can you write a great sales copy? – No thanks, we don’t need you. Can you dig around and analyze information, and then write a truthful in-depth review? – We would love to have you aboard!